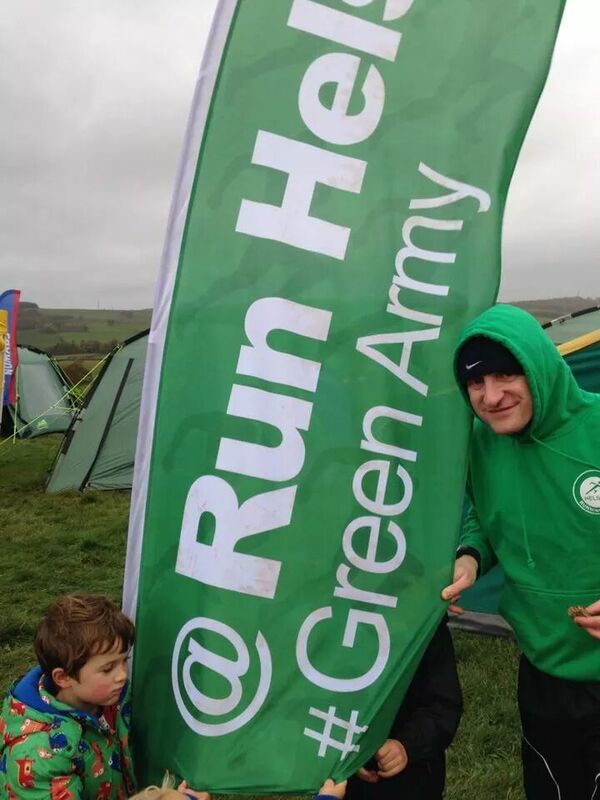 It’s been a busy weekend of running for the Green Army so lots to report this week! Also on Saturday was the inaugural Ellesmere Port parkrun which saw 4 Helsby vests on the start line. 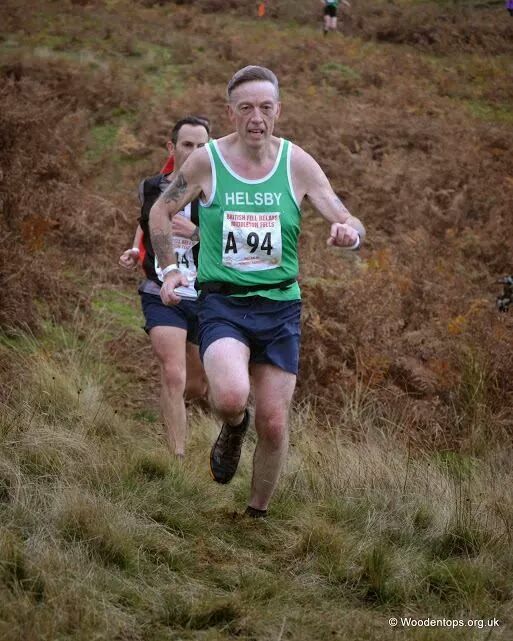 Well done Dave Madders for first Helsby runner and Joanne Lacking for first Helsby lady and top of the podium for the ladies. Well done guys! Results below. And finally, the Warrington parkrun with sole Helsby runner Carl Pratt flying the flag for the club and storming around in 21:40 for a new PB! Well done Carl. 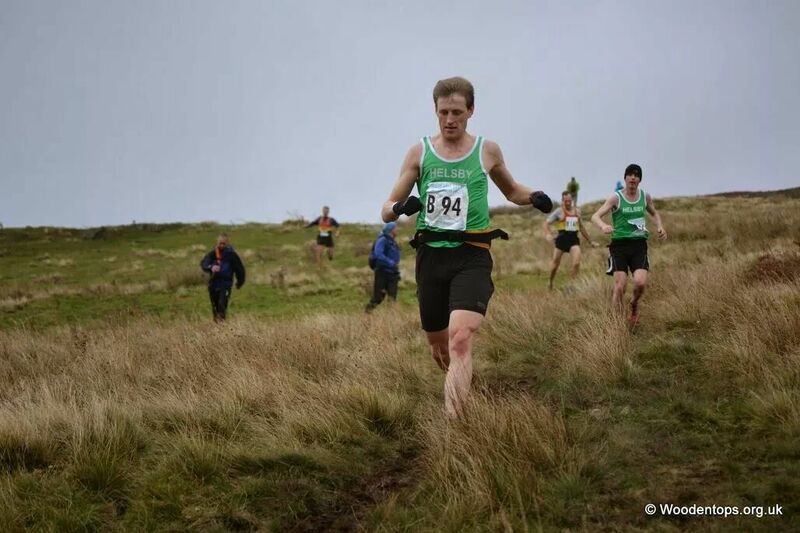 On the 18th & 19th October Gaz O’Connor embarked on the epic Centurion Running Winter 100 Mile Race. Full report from Gaz. “The Winter 100 miler is a race held along 50 miles of the Thames Path and 50 miles of the Ridgeway Trail with 4 out and back 25 mile sections in a rough ‘X’ shape that converges on the small town of Goring and Streatley in Oxfordshire where the race HQ and drop bag location is situated. The first and last 25 mile spurs are relatively flat along the Thames with a hillier 50 miles in along the Ridgeway sandwiched in the middle. The challenge I’d set myself was to finish under 24 hours and get the “100 miles/ 24 hours” belt buckle awarded by Centurion rather than the “Finishers” buckle awarded to runners completing the course after that time. I was hoping to get the first, flat 25 miles done in under 4 hours without too much effort being expended and then get to half way in under 10 hours to leave myself 14 hours for the final 50 miles but due the extremely muddy conditions on the Thames Path this plan went awry straight away, with the first section taking 4:15 and me having to put a lot more effort in than I’d anticipated. After quick bite to eat at Race HQ the second section was up onto the Ridgeway Trail, a lot hillier than the Thames Path but also firm under foot which made for better progress than I’d hoped and I got to the 50 mile mark in 9 hours 40 minutes feeling more encouraged about how I was feeling and having clawed back all the ‘lost’ time and more. It was around 8pm and pitch black coming out of Goring for the 2nd section along the Ridgeway for miles 50 to 75, the next 10/ 11 hours would be run with head torches with wind and heavy rain expected after midnight. The easy part, if there was one, was over. I had a nagging pain in my right shin but, other than that, was feeling good both mentally and physically. I got talking to a fellow runner called ‘Tom’ who I would end up spending the next 50 miles/ 14 hours with as we helped each other through the little ups and downs of the race. Barring taking a wrong turn when nattering rather than looking out for course markers that cost us an an extra half mile we made great progress along that section, finishing a hilly miles 50-75 in 6 hours 40 minutes, an overall time of 16 hours 30 mins, which left what should have been a relatively easy 7 and half hours for the last, flat, 25 miles to get finished under 24 hours. Despite getting into Goring at 75 miles feeling great I couldn’t seem to get into a rhythm for the last 25 miles, my shin had swollen up rather badly, every step was painful, and Tom was having trouble with blisters. This made the final section a rather inglorious, unathletic walk/ jog/ shuffle race against time to cover those last 25 miles by hook or by crook and finish under 24 hours which saw us at times struggling to stay under 17-18 minutes a mile. 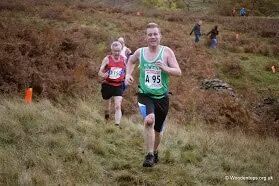 Being in such bad shape with 8 miles to go that 2 and half hours to do it in was looking a very tough proposition seemed quite surreal! We just about managed to stay on schedule but the sub 24 hours wasn’t really in the bag until we’d put a few efforts with around 5-6 miles to go to leave us with 50 minutes to do the last 2 miles. Words can’t really describe how I felt once I’d looked at my watch and done that bit of basic maths after the painfully slow previous 23 miles which had taken us over 6 and half hours. The last 2 miles were done in a great mood knowing I’d achieved the 24 hour finishing time and belt buckle that I’d set myself the task of getting. Well done Gaz, that’s some achievement. 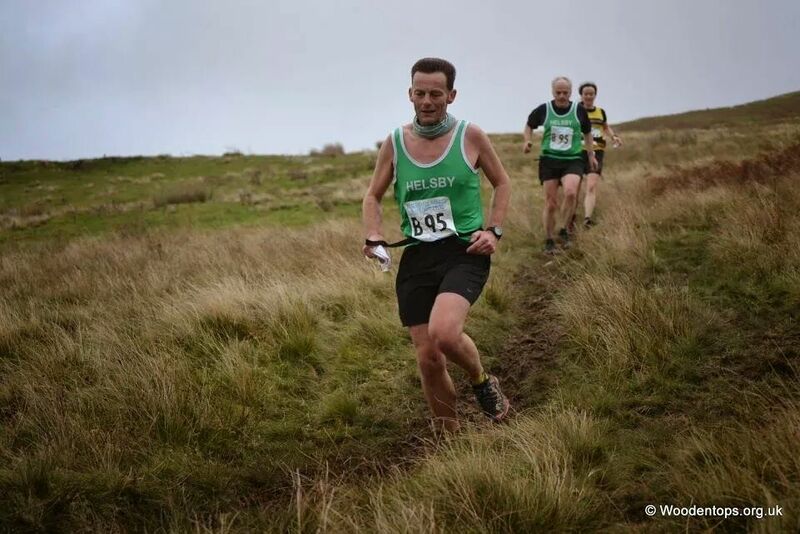 I believe you are the first ever Helsby RC member to complete a 100 mile race? Great stuff! 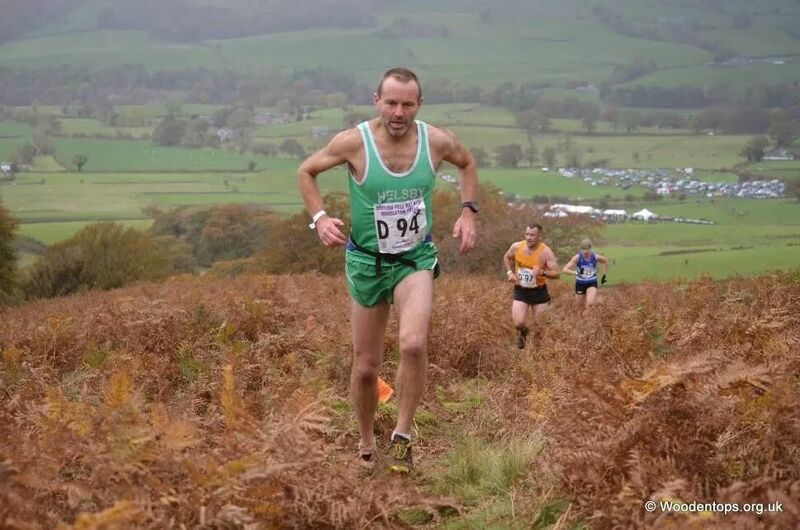 Now to one of biggest races in the fell running calendar, the British fell relays! 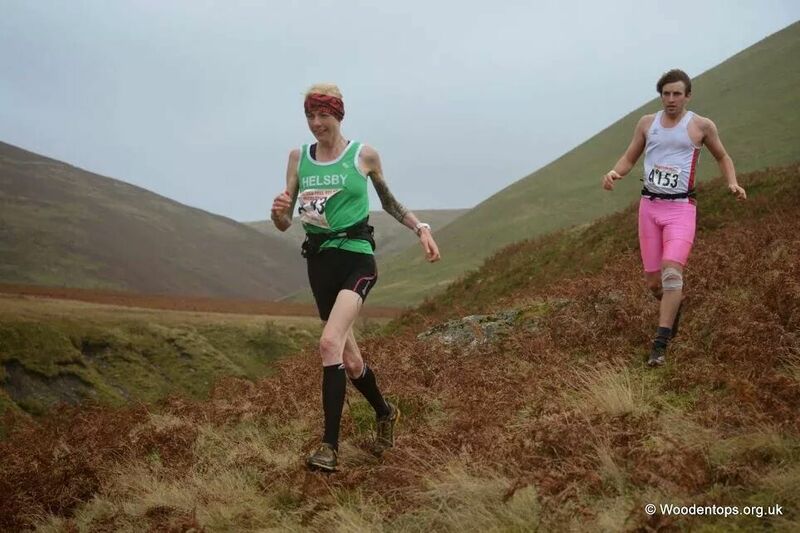 On Sunday, 18 hardy Helsby souls made their way over to Middleton Fells in East Cumbria to do battle with some of the best fell runners in the UK in mild but blustery conditions. Luckily the rain held off for most of the day, only the last leg getting caught up in a cloudburst. The format for each team consisted of 4 legs – a solo leg, a pair for the second leg, a pair for the navigation on the third leg and a solo runner for the fourth. 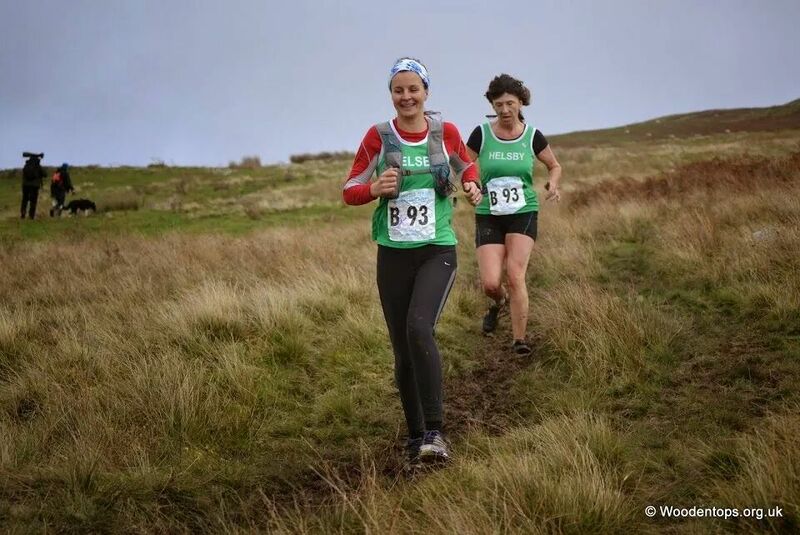 The course seemed to have a little bit of everything, fast tricky grass ridges, steep rocky descents and ascents, stream crossings, thick tussocks and lots of mud! It certainly was a very tough but enjoyable course. I was paired up with Jimmy O’Hara for the 9 mile second leg and as a more predominant road runner (or tarmac slapper as Jamie calls us!) I did struggle with this course, especially on the more technical areas. I almost felt sorry for Jimmy as he was bouncing over the rough terrain like a spring lamb without breaking a sweat with myself in toe tripping and stumbling my way around gasping for breath trying to hang on! A big thanks to him for pulling me around and giving me lots of encouragement on the particularly tough bits, the phrase “tap it out!” in other words “don’t walk up the hills” will stay with me for a long time, my legs today aren’t thanking him for that! After a final blast to the finish line we both managed to secure 63rd place (Team `A’ securing 83rd overall), a very respectable position considering the competition we were up against. We’ve never seen Fitzy so happy! And finally, on a more wistful note, Adair has decided to stand down from doing the round-up each week and is stepping away from running altogether to concentrate on new endeavours. 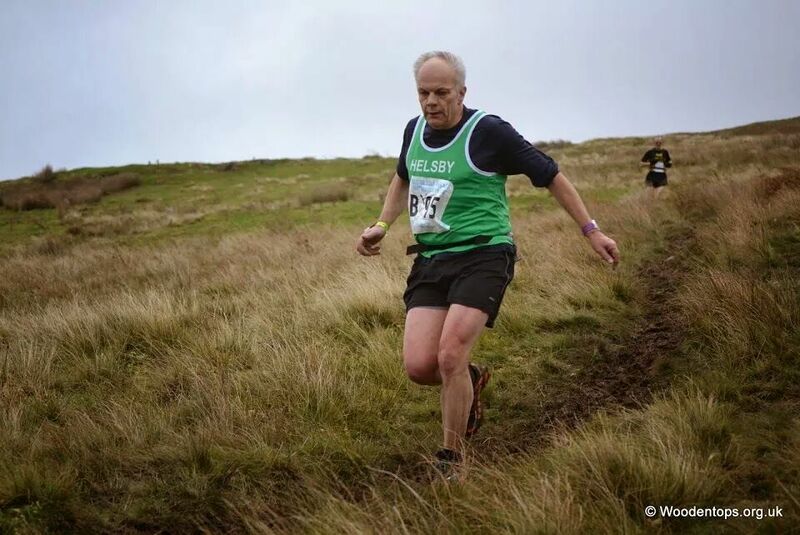 I would just like to take this opportunity to thank him for all the hard work he has put in to the blog over the years, getting us race results and club news out each week. I’m sure I won’t be the only one to wish him the best of luck for the future. 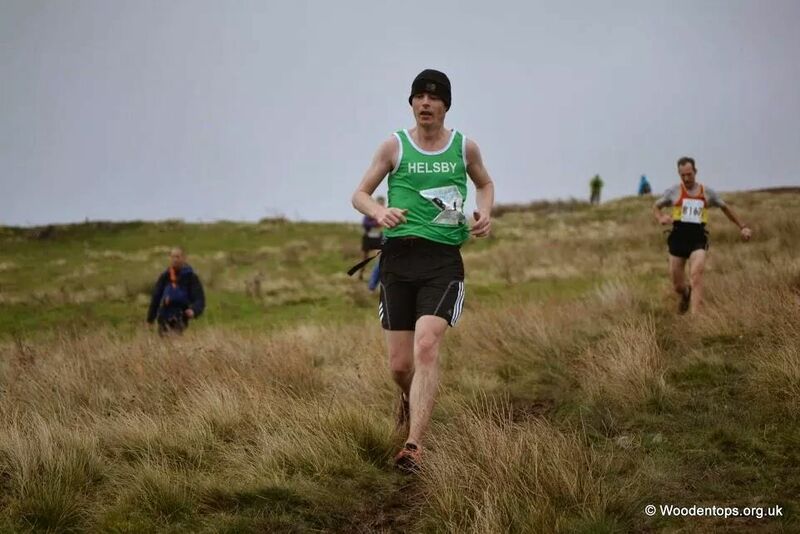 Moving forwards, myself, Gaz O’Connor and Chris Baynham-Hughes will be sharing the round-up duties each month, if you could please send your race reports or results to any one of us we will make sure it’s included in the blog that week.